To seek more in life EVERYDAY helps quench a recurring thirst. Congrats for completing the challenge, Akhila!!! thank you so much friend..
Hey Akhila, nice quote…Infinity and impossible are two words in the dictionary…let them neautralise each other. 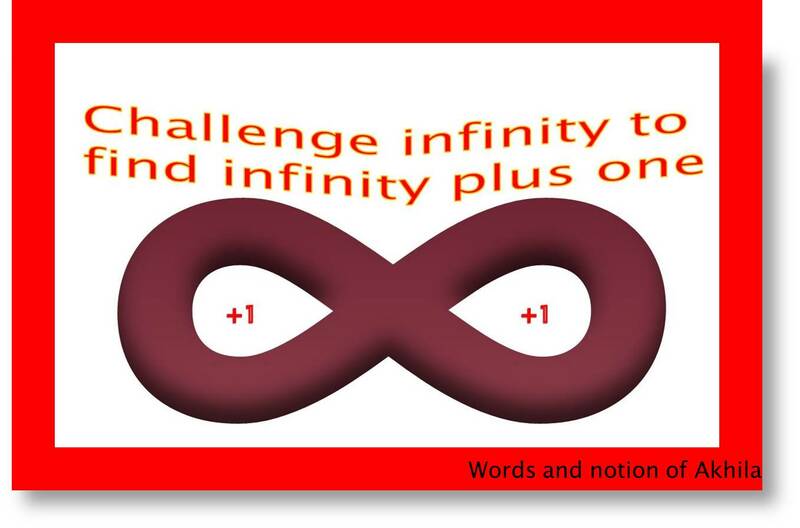 is it impossible to attain infinity?